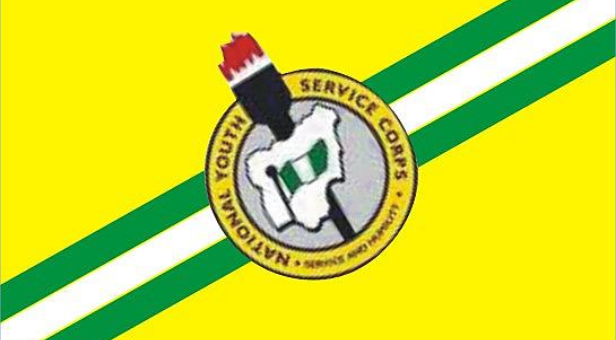 NYSC Orientation Camps and Address list of All Camps and State Office. Jigawa State Camp Katsina Camp Lagos State Gombe State Kano State Nassarawa State If you disagree, please share your opinion in the comment section below. 1. ABIA (AB): NYSC Permanent Orientation Camp, Umunna, Bende Local Government Area, Abia State. 2. ADAMAWA (AD): NYSC Permanent Orientation Camp, Lapondo Road, Damare, Girei Local Government Area, Adamawa State. 3. AKWA IBOM (AK): NYSC Permanent Orientation Camp, Ikot Itie Udung, Nsit Atai Local Government Area, Akwa Ibom State. 4. ANAMBRA (AN): NYSC Permanent Orientation Camp, Progressive Senior Secondary School, Umunya, Oyi Local Government Area, Anambra State. 5. BAUCHI (BA): NYSC Permanent Orientation Camp, Wailo, Ganjuwa Local Government Council, Bauchi State. 6. BAYELSA (BY): Kaiama Grammar School, Kaiama, Kolokuma/Opokuma L.G.A Kaiama Grammar School, Kaiama, Kolokoma-Opokuma Local Government Area, Bayelsa State. 7. BENUE (BN): NYSC Permanent Orientation Camp, Wannune, Tarka Local Government Area, Kilometer 35 Makurdi Gboko Road, Benue State. 8. BORNO (BO): NYSC Permanent Orientation Camp, Biu Road, Maiduguri LGA, Maiduguri, Borno State. 10. DELTA (DT): NYSC Permanent Orientation Camp Former Martins TTC, Issele-Uku, Aniocha North L.G.A. Delta State. 11. EBONYI (EB): NYSC Permanent Orientation Camp, Macgregor College, Afikpo Local Government Area, Ebonyi State. 12. EDO (ED): Okada Grammar School, Okada, Ovia North-East Local Government Area, Edo State. 13. EKITI (EK): NYSC Permanent Orientation Camp, Ise-Orun/Emure Local Government Area, Ekiti State. 14. ENUGU (EN): NYSC Permanent Orientation Camp, Awgu Local Government Area, Enugu State. 16. GOMBE (GM): NYSC Permanent Orientation Camp, Kilometer 27, Mallam Sidi, Kwame Local Government Area, Gombe State. 17. IMO (IM): NYSC Permanent Orientation Camp, Umudi Nkwerre Local Government Area, Imo State. 18. JIGAWA (JG): NYSC Permanent Camp,opposite Army Barrack, Fanisua Dutse Local Government Area, Jigawa State. 19. KADUNA (KD): NYSC Permanent Orientation Camp, Kaduna – Abuja Road, Kaduna State. 20. KANO (KN): NYSC Permanent Orientation Camp, Kusala Dam, Karaye, Karaye Local Government, Kano State. 21. KATSINA (KT): Youth Multi-purpose Centre/NYSC Permanent Orientation Camp, Mani Road, Katsina State. 22. KEBBI (KB): NYSC Permanent Orientation Camp, Dakingari, Suru Local Government Area, Kebbi State. 23. KOGI (KG): NYSC Permanent Orientation Camp, Asaya, Kabba Local Government Area, Kogi State. 24. KWARA (KW): NYSC Permanent Orientation Camp, Yikpata, Edu Local Government Area, Kwara State. 25. LAGOS (LA): NYSC Permanent Orientation Camp, Iyana Ipaja, Agege, Lagos State. 26. NASSARAWA (NS): Magaji Dan-Yamusa Permanent Orientation Camp, Keffi, Nasarawa State. 28. OGUN (OG): NYSC Permanent Orientation Camp, Ikenne Road, Sagamu Local Government Area, Sagamu, Ogun State. 29. ONDO (OD): NYSC Permanent Orientation Camp, Ikare-Akoko Local Government Area, Ondo State. 30. OSUN (OS): NYSC Permanent Orientation Camp, Aisu College Hospital Road, Ede North Local Government Area, Ede, Osun State. 31. OYO (OY): Government Technical College, Iseyin Local Government Area, Iseyin, Oyo State. 32. PLATEAU (PL): NYSC Permanent Orientation Camp, Mangu, Mangu Local Government Area, Plateau State. 33. RIVERS (RV): NYSC Permanent Orientation Camp, Nonwa-Gbam Tai Local Government Area, Rivers State. 34. SOKOTO (SO): Government Technical College Farfaru, Farfaru Local Government Area, Sokoto State. 35. TARABA (TR): Government College, Jalingo, Jalingo Local Government Area Taraba State. 36. YOBE (YB): NYSC Permanent Orientation Camp, Fika, Fika Local Government Area, Yobe State. 37. ZAMFARA (ZM): NYSC Permanent Orientation Camp, Beside FRSC Office, Tsafe Local Government Area, Zamfara State.